Our analysis suggests that this economic bonus translates into an investment bonus as well. We have found that countries high in economic freedom outperform the foreign developed markets MSCI EAFE Index by about 4% annually. We did this analysis by computing an equal weight of the six countries with significant stock markets and the greatest economic freedom: Hong Kong, Singapore, Australia, Switzerland, New Zealand, and Canada. Although countries’ levels of economic freedom freedom do change, these six have remained at the top of the Economic Freedom Index for some years now. We call these the Freedom Six. 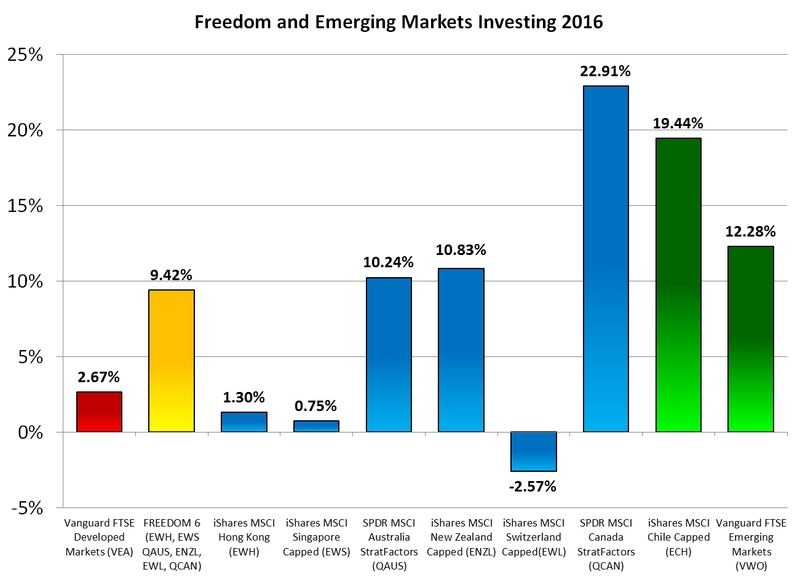 In 2016, the average return of the best investment products of the Freedom Six outperformed the Vanguard FTSE Developed Markets ETF by 6.75%. The 2016 MSCI EAFE Index had a return which was only 1.00%. Here are the 2016 returns of several non-index investments with low expense ratios. South Korea, on the other hand, received a score of 71.1, ranking it at the bottom of the “Mostly Free” category. The difference between the 27th freest country and the 178th freest country is significant. What is obvious when you consider North and South Korea is also true between other countries with differing levels of economic freedom, such as northern and southern Europe. The scores of countries in northern Europe such as Denmark (75.3), the Netherlands (74.6), Germany (74.4), Sweden (72.0), Austria (71.1), and Norway (70.8) all qualify for the “mostly free” category. The United States is also very high in economic freedom, ranking 11th with a score of 75.4 near the top of the “mostly free” category. Meanwhile, the “PIGS” countries (named for the first letter of each country) ranked lower in economic freedom: Portugal (65.1), Italy (61.2), Greece (53.2), and Spain (68.5). These countries of southern Europe all scored in the “moderately free” or “mostly unfree” category. Freedom investing doesn’t work every year for every country, but we believe that the trends are pronounced enough to justify heavier weighting of countries high in economic freedom and minimizing or eliminating those countries low in economic freedom. Advisors who lump all foreign stocks together are often bearish on the idea of investing in foreign countries. In fact, it may be that indexes which include countries low in economic freedom are not part of the efficient frontier. 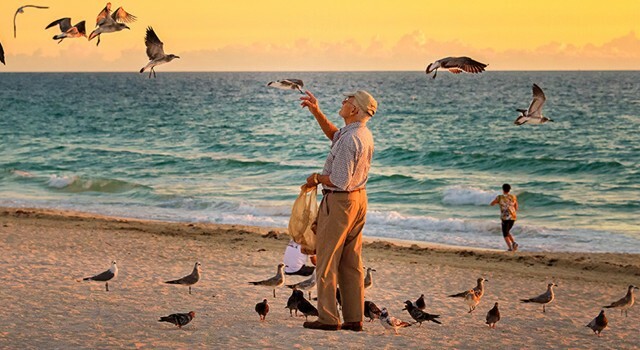 When comparing investments in the United States (a country high in economic freedom) with a foreign index which includes a mix of investments from less-than-desirable countries, the foreign indexes underperform. This is a reason to avoid non-discriminating foreign developed market indexes such as the MSCI EAFE Index or the FTSE Developed Markets Index. But when the countries with the most economic freedom are compared to the United States over decades, the countries with the most economic freedom are just as good if not better than the United States. 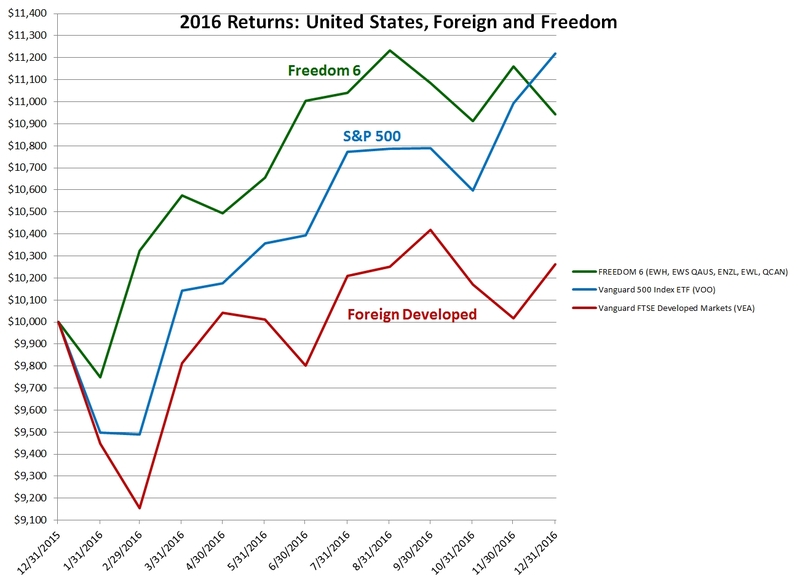 Here is a graph showing the comparative return of the Freedom Six, the S&P 500, and the FTSE Developed Markets throughout 2016. Only in the two months following the election did the S&P 500 catch up and overtake the other countries high in economic freedom. What is clear from this is that the countries high in economic freedom, including the United States, have more in common with each other than they do with the rest of the world. For non-developed countries (also called the “emerging markets”), economic freedom does not appear to be the most important criteria. Emerging market economies tend to do well because the low costs of labor allow them to stay competitive in the global economy. Emerging market indexes include over two dozen countries in varying amounts. The emerging market country highest in economic freedom is Chile, with a score of 77.7 ranking it just below Canada and just above the United States. We last mentioned Chile in an article almost exactly a year ago entitled “Why Invest In Chile?“. At that time, Chile had a terrible 5-year annualized return of -15.03%. Even so, we showed how a small investment in Chile could lower the overall volatility of a portfolio while simultaneously boosting returns over longer periods of time. Given the terrible prior 5-year return, it should be no surprise that, in a reversion to the mean, iShares MSCI Chile Capped ETF (ECH) had a positive return of 19.44% during 2016. For those willing to undergo the art of rebalancing, buying what went down and selling what has gone up, there is sometimes a significant rebalancing bonus.